Join our fourth annual Moth-style storytelling event on January 31st. As we roll into 2019, our jam packed line up of movers and shakers will challenge you to be the change you seek to find. We’re bringing you stories from every corner of the city, from culinary journeys and interactive theatre to educational transformation and neighborhood identity. Feed your mind, and your belly, and indulge in the delightful diversity that is the human experience. 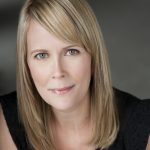 Tami Dixon: Ms. Dixon specializes in creating intimate, personalized and embodied immersive encounters. As the Creative Principal and Co-Founder of Bricolage Production Company, she co-created and directed the large-scale immersive works, STRATA, OjO, and DODO, in addition to company’s Immersive Encounters (IE) program. Ms. Dixon is the writer and director of The Forest of Everywhere, Bricolage’s first immersive for children with developmental differences, and also serves as the lead writer for the company’s critically acclaimed Midnight Radio series, now in its 10th season. Her first play, South Side Stories, received its world premiere and subsequent remount at City Theatre Company. Ms. Dixon is a recipient of a TCG/Fox Foundation Resident Actor Fellowship, The Frankel Award from City Theatre Company, the Carol R. Brown Creative Achievement Emerging Artist Award, and a Tribute to Women Leadership Award from the YWCA. Ms. Dixon holds a BFA in Acting from Carnegie Mellon University. Jordan Jones: Mr. Jones is an educator focused on teaching middle schoolers about social justice, racism, and sustainability. Currently, he works as a Cultural Literacy teacher at the Environmental Charter School in Pittsburgh. Mr. Jones incorporates restorative justice practices and culturally-relevant content into his co-taught classroom so all students experience a sense of belonging. As a teacher, he focuses on creating citizens who will think deeply, act kindly, and disrupt unjust systems in society. When not hanging out with awkward middle schoolers, he can be found exploring the greater Pittsburgh area with his four young children. Mr. Jones is a laid-back California native committed to the grueling task of finding joy in the dark, dreary and cold winters in Pittsburgh. If you have any tips on how to thrive during the next few months in the city, please see him afterwards. 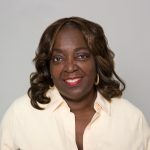 Olah Mandley: Ms. Mandley has dedicated her career to community health, focusing on the cultivation and preparation of natural and organic food. 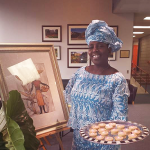 As the founder of Ola Appetite Catering, Ms. Mandley has educated Pittsburghers far and wide about the importance of food in culture and identity, with a particular emphasis on African and Caribbean traditions. In her twenties, Ms. Mandley spent six and a half years in Trinidad, and her flavors and techniques draw from her roots in southern cooking, island cuisine, and vegetarian practice. Ms. Mandley’s collaborations include the Union Project, the Heinz History Center, Carnegie Mellon University, the Hill House, and Kingsley Association. Sandra Taylor: Ms. Taylor is an internationally recognized expert in corporate social responsibility and environmental sustainability in supply chains. In 2008, she founded her own consulting firm, and recently became the Falk Professor of Socially Responsible Business at Chatham University. Previously, Ms. Taylor held executive roles with Starbucks Coffee Company in Seattle, Washington leading global Corporate Responsibility, and with Eastman Kodak Company; as well as government service with the US State Department early in her career. Ms. Taylor has also studied wine extensively, having authored The Business of Sustainable Wine in 2017. She is a columnist for Wine Review Online, and has served on non-profit boards including Chesapeake Bay Foundation, Landesa, supporting land rights for the poor, and Island Press. Ms. Taylor has a BA degree in French, JD from Boston University School of Law and an MBA from Bordeaux School of Management in France. 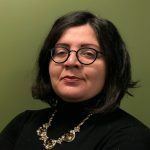 Georgia Petropoulos: With over 20 years of experience in the community and economic development industry, Ms. Petropolous is directly involved in the transformation of Pittsburgh. In her role as Executive Director of the Oakland Business Improvement District, she leads a dynamic organization representing the business, civic, education and medical sectors of the region’s largest hospital and university town. Drawing on her background in architecture, she spearheads various design based visionary projects such as Innovation Oakland focused on 21st century approaches to community place making and Oakland for All, a collaborative effort advocating for accessible communities. Ms. Petropolous serves on the boards of Community Human Services and Oakland TMA and previously served on the boards of Mental Health America Allegheny County, Community Design Center of Pittsburgh, Peoples Oakland and the North Side Community Loan Fund. She earned a Bachelor of Arts in Architectural Studies/ French Language & Literature from the University of Pittsburgh and a Masters of Architecture from Washington University. Mike Walsh: Mike Walsh’s two decades of experience includes working in both the legislative and executive branches of state government and serving in appointed positions under three governors. In his current role as Deputy Secretary for Administration at DCNR, Mike manages the human resources, finance, and information technology operations of the 2300 person agency responsible for Pennsylvania’s 121 state parks and 2.2 million acres of forests. His focus on protecting our natural resources spans his career. During his five years as Deputy Secretary at the Pennsylvania Department of Education, Mike created the “Pathways to Green Schools” program that helped coordinate and promote energy efficiency, environmental education, and health and wellness programs in public and private schools. Mike is also co-chair of the DCNR Sustainability Initiative, a LEED Green Associate, and a founding board member of three non-profit organizations. He is a graduate of Saint Vincent College in Latrobe, and received a Master of Public Management degree from the Heinz School at Carnegie Mellon University. 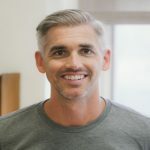 Dr. Chuck Herring (Emcee):A nationally acclaimed educator, author, entrepreneur, and speaker, Dr. Charles Herring draws from a wellspring of experience to engage audiences with humor and nuance. Currently, Chuck is the Kindergarten – 5th Grade Enrichment Teacher in the South Fayette School District. He also serves as a Board Member of PAEYC (The Pittsburgh Association for the Education of Young Children). Through the hectic pace of his life, he also finds time to be Christine’s husband and Vanessa, Ashley and Imani’s dad.